← #GIVEAWAY & #INTERVIEW: Colette Kebell answers some fun questions and Biggest Giveaway Yet! • A schnauzer that rescued his owner after a devastating lighting strike. • A 40-foot whale that shocked her rescuers when she helped to save a baby whale trapped in a fishing net. • A miniature horse that guides a blind teacher. • The dog trainer who transformed an unwanted shelter dog into a Broadway star. • The man who became a voice for the humane treatment of farm animals. • The woman who gave up everything to help street dogs and, in turn, learned lessons of trust and love. 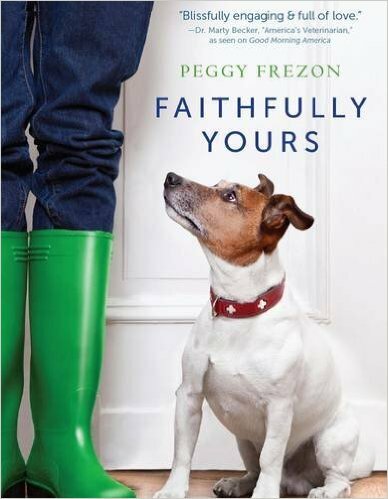 Faithfully Yours will warm your heart and enhance your appreciation of God’s wonderful creation. For anyone who’s ever loved, and known the love of, a special animal. This book was original in that I have never read a book about the relationships between animals and humans. Or, between the animal kingdom. And, this book was simply beautiful. The prose was very engaging. I really enjoyed every single story. It was nice, because you could choose to read a small chapter each night…but, I read it fast because I did not want to put it down. I loved reading about all of the bonds, it was very captivating. When I finished reading it, I put the book down and went to spend time with my beloved dog and cats. Our bond is amazing, and this story was a beautiful reminder! And, started a list of who to buy this book for! I loved the poetry, and the prayers and bible verses woven in to this book. If anyone has a pet, or has ever had one…READ THIS! This book is also a great gift for any of the animal lovers in your life.